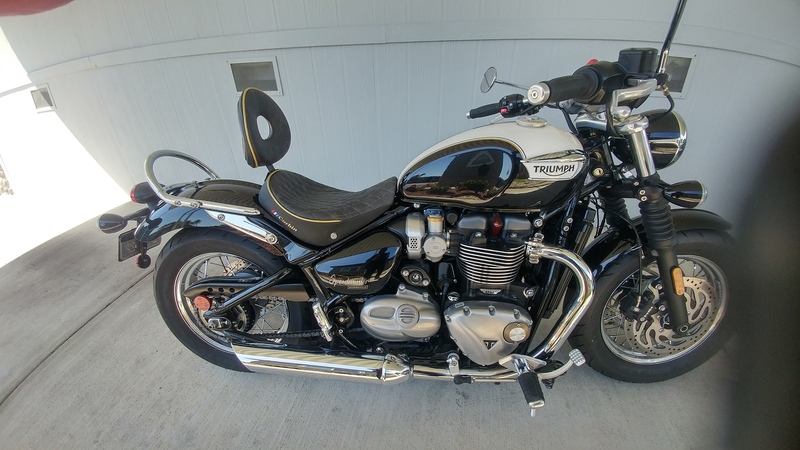 Triumph Forum: Triumph Rat Motorcycle Forums > Cruisers > Cruisers - America, Speedmaster > Corbin Solo Seat for 2018 Speedmaster is HERE. 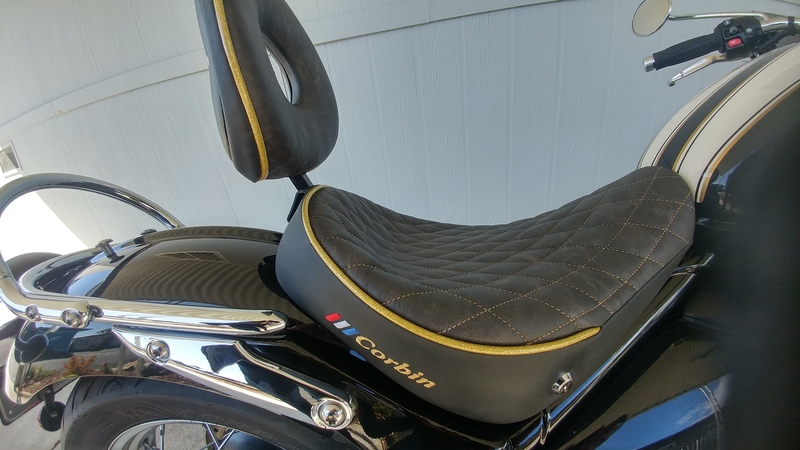 Corbin Solo Seat for 2018 Speedmaster is HERE. Findlay13, Blusideupp, rc51owner and 2 others like this. Hopefully they do a version without the backrest and the hole for the backrest. 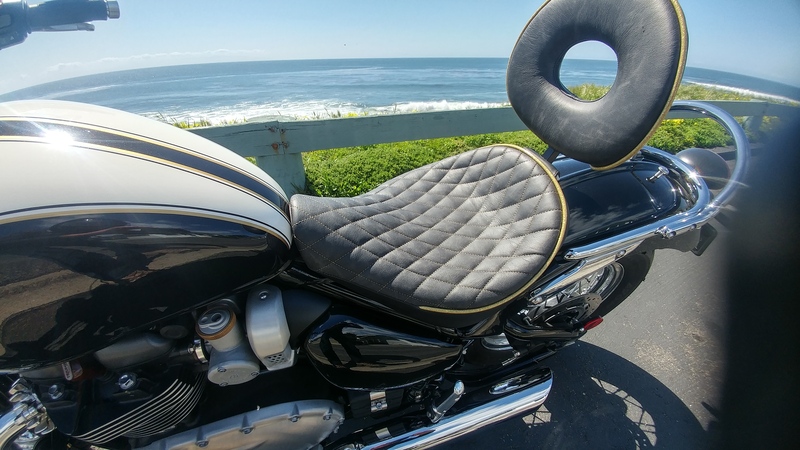 I am not the least bit interested in having a backrest and certainly do not want hole in the back of the seat just because it is an option. Why ruin the lines of the solo seat? RevKen and Duff-on-2 like this. Last edited by rc51owner; 03-29-2019 at 07:48 PM. The backrest is optional. It can also be easily removed with a single screw. I'll only use the backrest for longer trips. Since they made it to match the seat, I took it. OK, here are a couple of pictures without the backrest. Easy to remove. The seat has a locking the locks the seat into place. As I mentioned earlier, the Pillion matching seat is being fabricated and will get it in about a week. Can't say I like the cutout at the rear of the seat where the backrest attached. 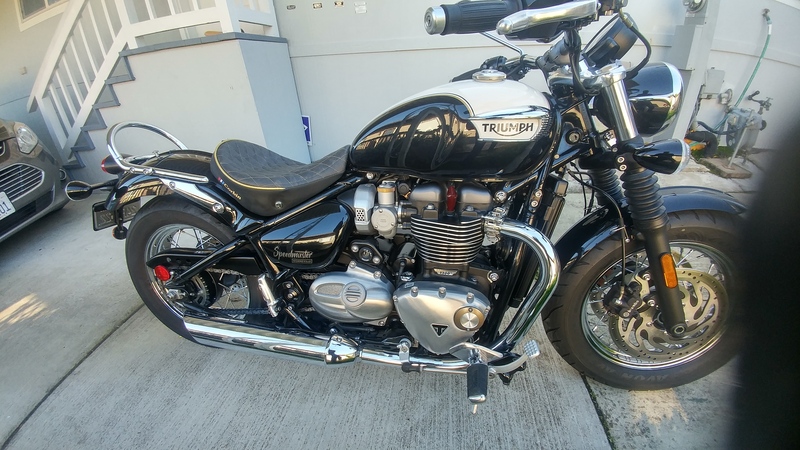 Clearview windshield, Pazzo levers, Triumph LED DRL headlamp, Triumph LED indicators, 4 bar tank badges, chrome throttle body, clutch and inspection covers. 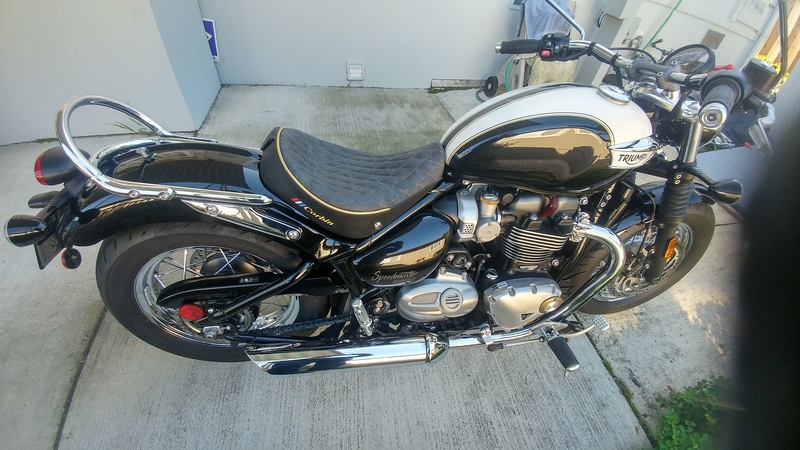 "Oh Man,I only ride 'em.I don't know what makes 'em work"
That's great.I'd definitely get one if I get the new speedmaster. 67 Attachment(s) Street Scrambler Pics!